Could be your luck day ! 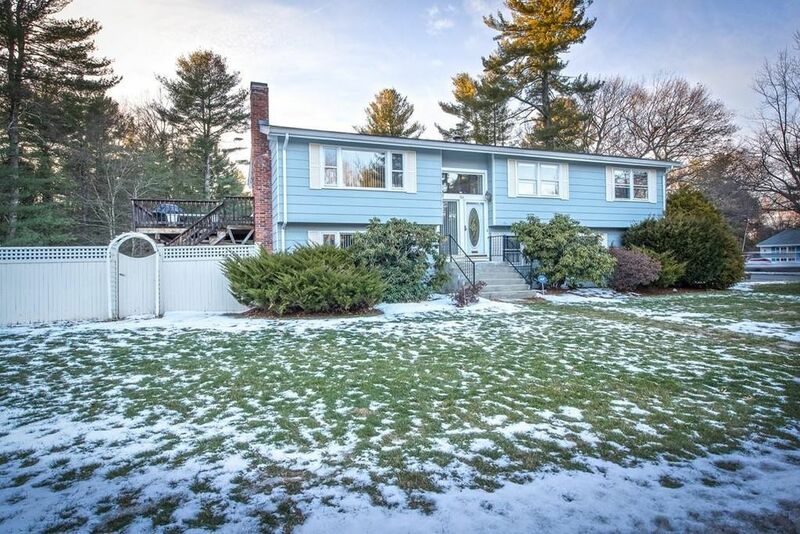 1st buyer got Cold Feet ** Bright & Warm home is move-in ready and located in the desirable Hemenway District neighborhood. The upper level living space features Cathedral ceilings, new gleaming hardwood floors, a large stone-face fireplace and open floor plan. Three spacious upstairs bedrooms with Cathedral ceilings including the Master with its own full bathroom. Lower level offers a Family room with fireplace, large laundry room, half bath and a fourth bedroom perfect for an older child or guests. You can enter the two car garage from lower level. Wonderful corner lot with a large partially fenced-in flat yard. Around the corner is Garden in the Woods and just a few minutes up the road is Sudbury...great location! Directions: Water street to Hemenway which becomes Eisenhower. On corner of Catherine.